Navy Lost Control of Drone Over D.C. Due To "Software Issue"
Oh, here's something. You know those "drones" that are supposed to be the "future of warfare." A software malfunction caused the Navy to lose control of one for half an hour earlier this month, letting it joyride over Washington D.C. 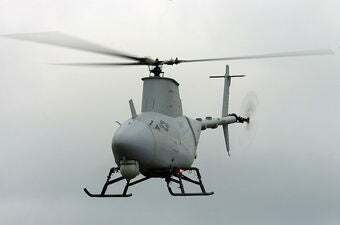 The charmingly named, 31-foot-long MQ-8B Fire Scout Vertical Takeoff and Landing unmanned aerial vehicle was flying at an altitude of 2,000 feet on August 2 when the Navy completely lost control of the craft due to, they say, a "software issue." It continued, guided only by its own probably-evil robot brain, for about half an hour, flying 23 miles into restricted airspace. The Navy re-established control when the drone was just 40 miles from the nation's capital.